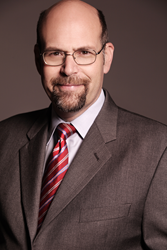 Ron Drescher is a Bankruptcy and Creditor's Lawyer Serving Maryland Delaware Virginia and Pennsylvania. Some people believe that bankruptcy is the hard bottom of a terrible fall, but I don't. I see bankruptcy as the beginning of a climb towards a better life, a reconnection with the world and an opportunity for financial security. Ronald J. Drescher, Maryland bankruptcy attorney and founder of Drescher & Associates, has written a guide for men, women and families struggling with debt to reverse course and build wealth. Thanks to his work helping thousands of people, Drescher has written File Bankruptcy and Get Rich to explore the power of eliminating debt and making regular payments towards investment accounts instead of high interest credit cards. Along the way Drescher explores the surprising impact of bankruptcy to help improve credit scores, the paralysis of wage garnishments, the trap of invading retirement accounts to pay bills and other tools of bankruptcy. For a free copy of File Bankruptcy and Get Rich please visit http://www.Drescherlaw.com. Ronald J. Drescher has been practicing since 1986 in the area of personal bankruptcy. He has helped thousands of clients clear their crushing debt and improve their credit profiles. He posts weekly videos on topics related to bankruptcy and litigation on his YouTube channel, MDBankruptcyLawyer.